Sometimes you need to transfer your digital photos, documents, music, and other files from smartphone or tablets to the computer. 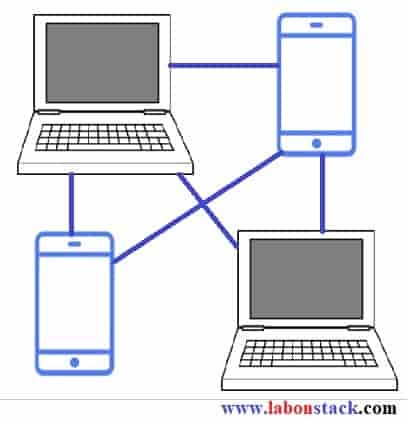 Mobile and computer are running on the different operating system so it is not easy to transfer the file from mobile phone to computer and there is not any standard method to copy files from one device to another device. For example, what is the quickest way to move multiple files from one Android tablet to computer? How can you transfer your file from Android mobile photo to your computer? How can you transfer a snippet of text on your computer? You can do this using Gmail, Yahoo Mail, and any other service provider. One limitation of Email is if you have a big size file then it will not work because of every email service provider have some specific limitation for file size. If you have a bigger file and you want to transfer then upload them to DropBox or Google Drive from one device and download that on another device. If you have Wi-Fi then prefer Dropbox because it will download the file over LAN instead of cloud so the file will download faster. The best sharing app with the fastest cross-platform transfer speed & free online feeds including movies, videos, music, wallpapers, GIFs. The interface is beautiful, uncomplicated and all the recipient has to do is connect their device to the Wi-Fi network created by the app on the sender’s device for transferring files.